Writers in the Mountains (WIM) invites you to the Andes Roundtable, Wednesday, October 7, 2015 at 7 pm. The event is held at the Hunting Tavern, on Main Street in Andes, NY. Attendees will learn about WIM’s mission and programs, hear some of the region’s best writers, and have a conversation about the role of arts and letters in the Catskill region. Writers in the Mountains (WIM) is a literary organization founded twenty-three years ago in Roxbury. Over the past two decades the organization has grown to include more than three hundred writers from all backgrounds, all ages and levels of experience, writing in all genres and styles. WIM offers a variety of creative writing workshops year round throughout the entire Catskill region: fiction, poetry, memoir, playwriting, publishing, business writing, illustration, and more. In addition to a broad range of workshops and seminars, in 2012 WIM launched an essay contest for middle and high school students in Delaware County. The essay contest encourages young writers to pursue their passion and dare to write – WIM’s motto. This year’s topic is What is your favorite music, and how does it move you? 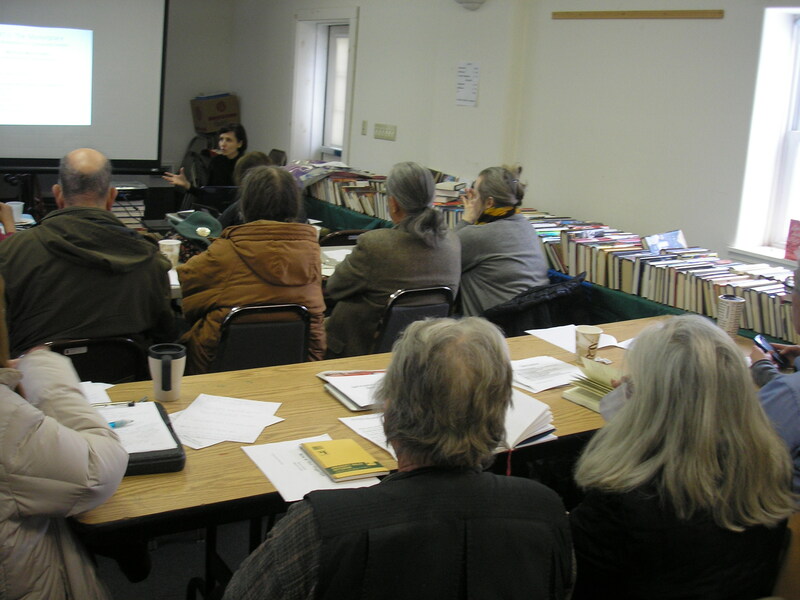 Additionally, in 2014 WIM ventured into yet another arena: in April 2014 WIM started a book festival for authors, publishers and booksellers in the Catskills and Hudson Valley area. In 2015 the keynote speaker was award-winning author Jenny Milchman, published by Ballantine / Penguin Random House. Writers in the Mountains hosts The Writer’s Voice, a weekly radio program on WIOX, broadcast Tuesdays at 1 pm, and produced by poet Sharon Israel. WIM Board of Directors includes professionals with a wide range of skills and expertise: Simona David (consultant), Sharon Israel (poet), Geoff Rogers (writer), Peg DiBenedetto (publisher), Leslie T. Sharpe (professor, author and consultant), Lillian Browne (journalist), Carrie Bradley Neves (editor), Elizabeth Sherr (professor) – all professionals with a strong vision for what the organization is and can be. Writers in the Mountains is a 501(c)(3) not-for-profit organization with a mission to provide to the general public a nurturing environment for the practice, appreciation, and sharing of creative writing. For more information, visit writersinthemountains.org.